Saba variety banana slices, ligtly fried in coconut oil and dipped in sugar solution. 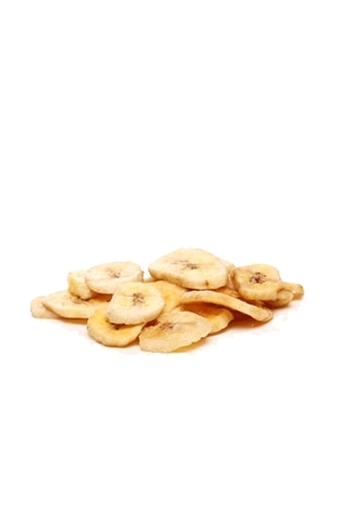 Ingredients: Fresh peeled bananas 55%, coconut oil 26%, sugar refined 18.97%, natural banana flavour 0.03%. Nutrition: Per 100g. Energy 2171.5kj/ 519kcal. Protein 2g. Carbohydrates 58g(sugar 15g). Fat 34g (saturates 29g). Fibre 8g.